so you can hold onto it forever. 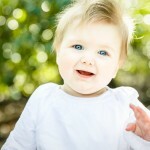 We can have a relaxed photo session in your home where your baby feels totally comfortable. No flashing lights, no awkward backdrops, no fancy props…just beautiful photos of you and your baby.